Powerful tools for mathematics instruction can make a good lesson great. 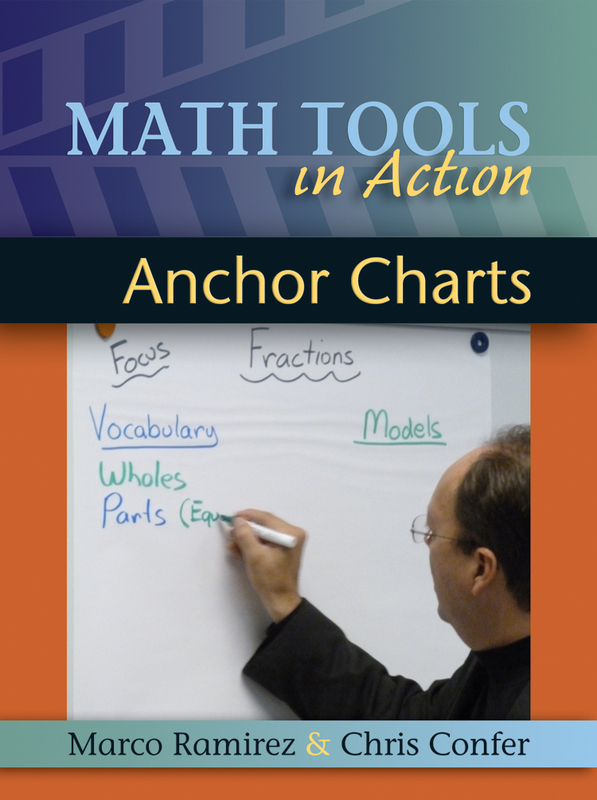 Math Tools in Action, an exciting video series, explores Anchor Charts, Journals, and Manipulatives, three of the most effective tools for helping teachers implement the Common Core State Standards while encouraging students to become critical mathematical thinkers. For more than twenty years, Marco Ramirez and Chris Confer have worked with administrators and teachers at dozens of schools around the country to cultivate an environment that elevates math instruction schoolwide. Now you can watch as they teach and comment on lessons using these essential math tools—tools that will help you deepen and improve your own math instruction, no matter what grade level you teach. Anchor Charts describe the essence of a lesson; they help teachers to focus on—and students to remember—the most important mathematical concepts and skills being taught. Anchor charts not only compel teachers to be clear about their instruction, they also improve student comprehension. Watch as Chris discusses the purpose of anchor charts with fifth-grade students and as Marco leads a fourth-grade class through a lesson on building and decomposing an array, frequently referring to and updating various anchor charts. Marco Ramirez is an award-winning educator who has successfully transformed schools using mathematics as leverage for change. Chris has a passion for both mathematics and teaching children.